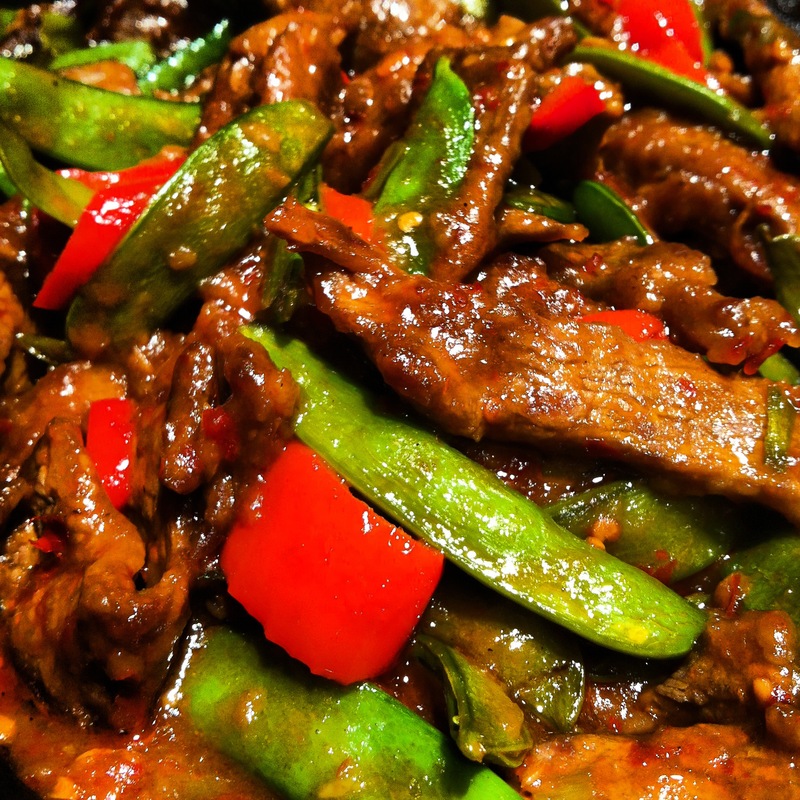 Mongolian Beef – Fake Out Take-Out! 2.) Meanwhile, make sauce by combining hoisin sauce, soy sauce, brown sugar and bean/chili sauce. 3.) Stir fry the veggies and ginger in 1 tsp. canola until just cooked through but still firm. Remove from pan and set aside. Then add the remaining canola oil and stir fry the beef over high heat until browned, about 4 minutes or so. Return veggies to pan, and add sauce and cook for about 1 minute longer. 4.) You can serve over rice or just eat with a side. This dish can stand alone that is how delicious it is! Enjoy! – 2-4 medium carrots, sliced diagonally into 1-2in pieces. – 1 lemon, cut into wedges. 2.) While cooking the chicken heat the butter in another saucepan over low heat. Add onion, sugar, and 1 tsp of salt. Cook until the onion is soft (approx. 5 mins.) Add the curry powder and cook for an additional minute. Add the rice and 3 cups of remaining chicken broth. Increase the heat to medium, cover, and simmer for 15-20 minutes. 3.) Remove the chicken from it’s broth and dice it. Once diced return the chicken to it’s original broth. 4.) Blend/process the rice mixture but don’t make it too fine. You want to still have a little rice texture. (It will cook all the way through as it sits. Pour the blended mixture into the chicken and carrot broth. Stir the soup to combine both broths. 5.) When combined add the mint leaves and serve with lemon wedges. Growing up in the suburbs of Philadelphia my tastebuds have a great Italian influence. I enjoyed going to the Italian markets and absolutely love the Italian heritage days held in the city/suburbs. Part of the reason the food tastes so good is because it can tend to not be too good for you. 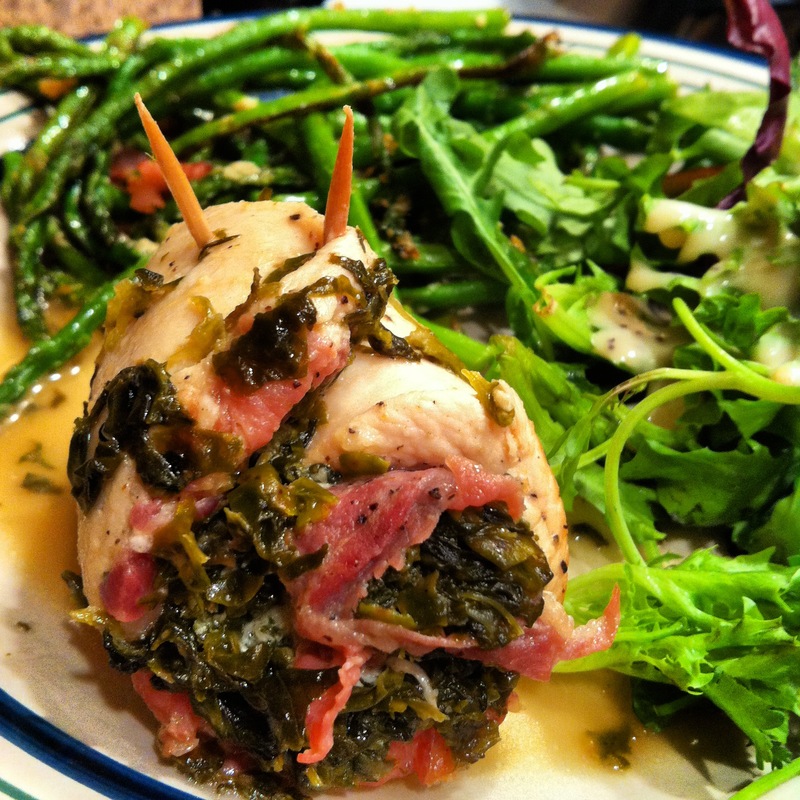 This recipe has some changes to the traditional saltimbocca making it a healthy and delicious alternative to Italian cuisine. The pan sauce is to die for! Original recipe is from Giada De Laurentiis of Food Network. The link to the original recipe is below. 2.) Squeeze the frozen spinach to remove the excess water. Sprinkle the spinach with salt and pepper. In a small bowl, toss the spinach with 1 tablespoon of oil. 3.) Arrange an even, thin layer of spinach atop the prosciutto slices. Sprinkle Parmesan evenly over each. Beginning at the short tapered end, roll up each chicken cutlet as for a jellyroll. Secure with a toothpick. 4.) 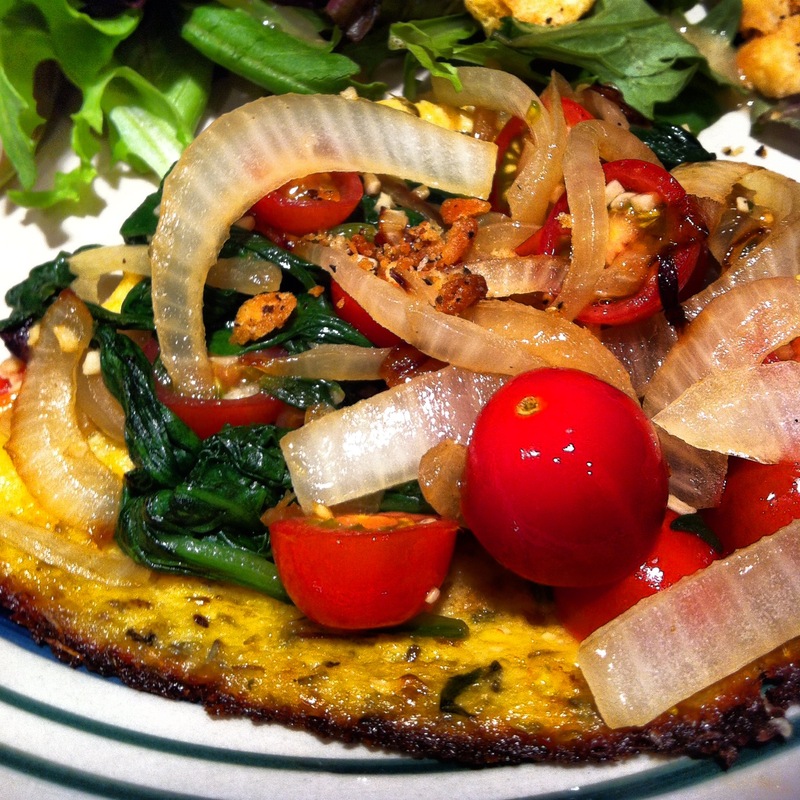 Heat the remaining 2 tablespoons of oil in a heavy large skillet over high heat. Add the chicken and cook just until golden brown, about 2 minutes per side. 5.) Add the chicken broth and lemon juice, and scrape the browned bits off the bottom of the pan with a wooden spoon. Bring the liquid to a boil. Reduce the heat to medium. Cover and simmer until the chicken is just cooked through, about 8 to 10 minutes. 6.) Transfer the chicken to a platter. Simmer the cooking liquid over high heat until it is reduced to about 2/3 cup, about 5 minutes. Remove toothpicks from the chicken. Drizzle the reduced cooking liquid over the chicken and serve immediately. Quick post note : The spices can be a little expensive to buy upfront but you if LOVE Thai food like we do it is most certainly worth it. 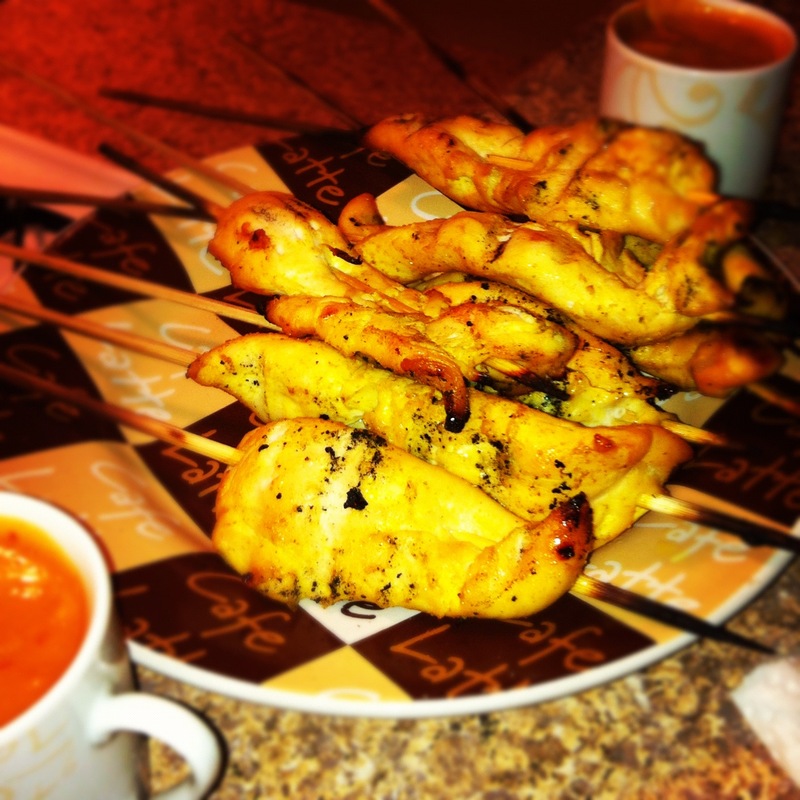 They will last a while and you’ll be able to make tons of these skewers! 3.) Preheat your grill to medium heat. Weave each tender onto a skewer. 4.) Grill the skewers for approx. 5 minutes per side. Changes depending on grill and how hot you have it. Keep an eye and dont overcook. 5.) While skewers are cooking combine peanut butter, ginger, chicken broth, honey, soy sauce, vinegar, oil, and chile sauce (optional) in a food processor or blender. Blend/process until smooth. 6.) Serve satay with steamed vegetables or rice and of course the peanut sauce to dip. If this is your first time on my blog I must inform you of how much my husband HATES cauliflower. This man will not touch anything that has so much of a hint of cauliflower. In my very evil womanly ways I have tricked him into eating cauliflower quite a few times, but this time was different. He was actually shocked and he would not believe me. Not only did he enjoy the pizza but he went in for seconds AND wants to know when we will be having it again. 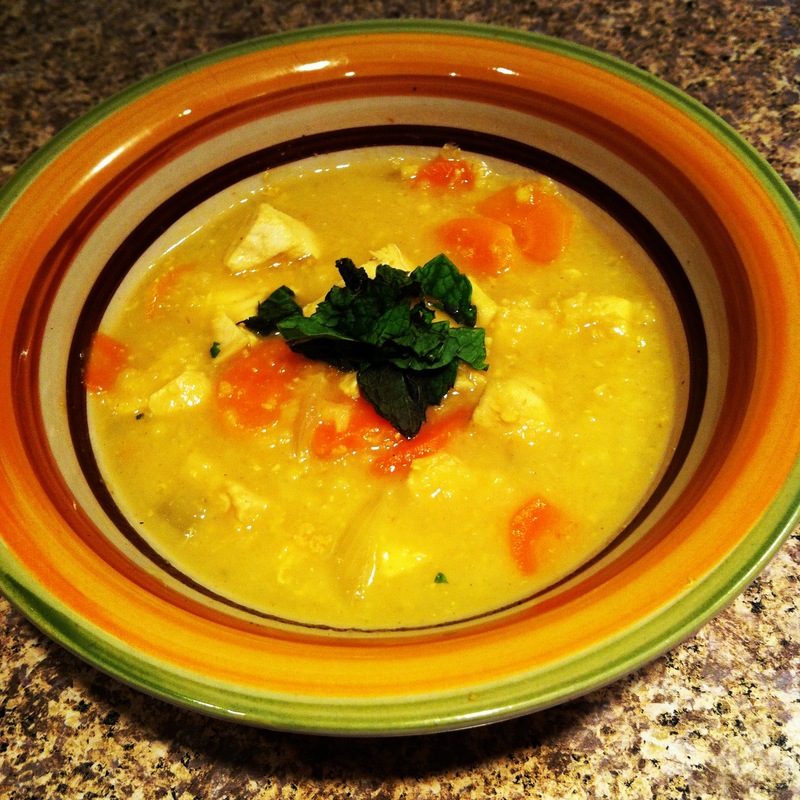 I must say this is a great recipe if you want to trick someone into eating something healthy. I made it thin crust so it was difficult to pick up and eat (we fork& knife-ed it) so for the future I would make extra “dough” to make a thicker crust. It really is as good as everyone has been raving and much easier to handle than real pizza dough. Remove the stems and leaves of one head of cauliflower. To “rice” the cauliflower just grate the florets with a cheese grater. You can also do this with a food processor but I do not own one so I went the cheese grater route. Place the riced cauliflower in a bowl and microwave for 6-8 minutes (depending on your microwave) no need to add water to the bowl… just plain ol’ riced cauliflower. In a large bowl mix together cauliflower, egg, cheese, herbs, garlic, and salt. Mix well. Add the sliced onion and stir until caramelized (about 6-8 minutes) When cooked spread on your crust. In the same pan cook the spinach and garlic over medium heat. Only cook until they just start to wither. You don’t want the spinach to be too soggy or for the garlic to burn. (about 2 minutes) Spread over pizza. After vacationing in Central America and eating from a buffet for 7 days (can you say fat girl in paradise?) we decided it was time to get back on the healthy eating train. Yesterday was the first day back and with it being Labor Day we decided grilling was the only way to go. When I hear “grill” I usually picture beefy slabs of meat and juicy hotdogs, but not in this house. 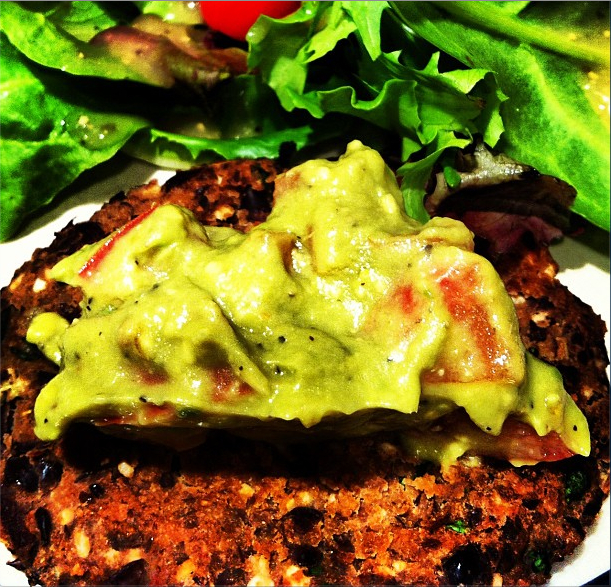 We substituted the dogs and burgers with a new recipe for black bean patties topped with a lighter version of fresh guac. Be warned that these puppies have some heat so if you do not like spicy be ready to modify the recipe a bit. They do not take long to make (unless your toddler locks the sliding glass door on you and leaves you waiting outside for 15 minutes) so this would make for a good quick weeknight dinner idea. 1. First make the guacamole. Seed and peel the avocado then mash. Stir in lime juice and add pepper and salt to your taste. When mixed well add the tomato and gently fold into the guacamole. Cover and refrigerate until ready to serve. 3. Place garlic and cilantro into blender/food processor. Don’t overdo it with chopping these guys because I feel like you get a better flavor the less mushed together it is. Once chopped add 1/2 of the beans, chipotle pepper, adobo sauce, and cumin. Cover and blend/process. Don’t worry about it being perfectly processed. You’ll want there to be some partially intact beans to keep the patties together. Add contents of blender/processor to breadcrumbs. Add rest of the beans and 1 egg. Mix with your hands until you have a nice combined mixture. 4.) Form into 4 – 1/2inch patties. 5.) You can add the patties directly to the grill (Medium Heat) but I like to use foil instead of running the risk of loosing one of these guys. If you put them directly on the grill don’t forget to grease the rack and same goes for foil. Grease it up! 6.) Cook for 8 minutes total flipping them half way through. Do not kick it up to high heat or overcook or else they will be very dry. 7.) Top with guacamole and enjoy!